British swimmers added another eight gold medals to their European Masters Swimming Championships tally on the final day of the competition in Slovenia. They were among 22 podium places won on day six in Kranj, which took the total number of individual and relay medals earned during the event to 141. There was a British one-two in the 45-49 age group. Nicola Latty, of Holywell SC, claimed the gold medal in a time of 2:35.02, with Carnegie Swimming Club’s Janet McLean second in 2:41.78. Sally Mills triumphed in the 60-64 years race by more than 21 seconds. The Mid Sussx Marlins swimmer finished in 3:17.97 – with her closest rival, Belgium’s Claire Anthony, taking silver in 3:39.01. Ferdin Silvia grabbed second spot in the 50-54 age group. 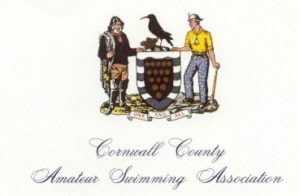 The City of Cambridge SC swimmer recorded a time of 2:50.19 as she finished behind Germany’s Claudia Thielemann (2:40.46). And Jessica Wooddisse, of Stroud Masters SC, won a bronze medal in the 40-44 age group in a time of 2:42.57. British swimmers picked up three bronze medals in the Men’s 200m Butterfly. Steven Folsom, of Teddington Swim Club, clocked 3:12.41 in the 65-69 age group, Simon Emm, from Colchester SC, finished in 2:33.79 in the 50-54 event, while Redditch SC’s Paul Wilkes touched him in 2:11.55 in the 30-34 race. Kirsty Johnson topped the podium in a close 35-39 age group race. The Bracknell and Wokingham swimmer claimed the gold medal in 33.28 – only 0.09 seconds ahead of Germany’s Susan Przywara (33.37). Grace Isaac, of Spencer Swim Team, was the gold medallist in 85-88 age group in a time of 1:13.91, while Black Country n Potteries’ Kathleen Tunnicliffe also won her 65-69 years category in 41.10. Phillip Williams, of Wycombe District SC, was a bronze medallist in the 55-59 age group in a time of 37.30. 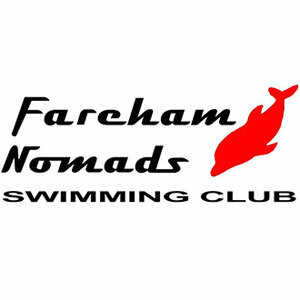 John Molyneaux, of Farnham Nomads SC, picked up a silver medal in the 30-34 age group. He was 0.48 seconds behind Italy’s Entoni Castello (28.10) after clocking 28.58. 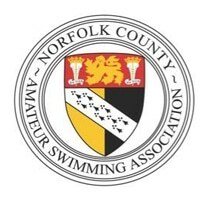 Guilford City Swimming Club’s Roger Billing was a bronze medallist in the 75-79 years race as he recorded a time of 39.69. He was 3.37 seconds behind Hungary’s Jozsef Csikany who set a new European best of 36.32 on his way to victory. And in the 55-59 age group, Mike Brett, of Nottingham Leander SC, finished third in a time of 31.77. Diane Ford left the rest of the field trailing in her wake in the 75-79 age group. The Spencer Swim Team swimmer touched him in 1:44.40 – 17.40 seconds ahead of the silver medallist, Germany’s Ingeborg Zimmermann (2:01.80). Amanda Heath, of Spencer Swim Team, also had a comfortable victory in the 60-64 age group. She was 7.32 seconds ahead of the rest of the field after winning the gold in a time of 1:31.04. Louise Henley was also a gold medallist in the 30-34 years race. Henley, of the Royal Air Force Swim Team, finished in 1:12.87, 1.40 seconds ahead of Holland’s Lrissa Brak (1:14.17). 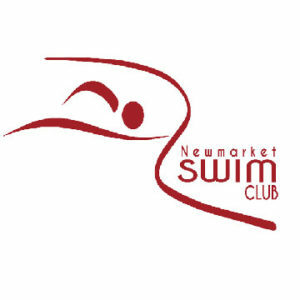 Team Anglia Swimming Club’s Lucy Ryan was second in the 45-49 age group in 1:20.53. And Muriel Hitchcock added a bronze to the medal after clocking 1:04.68 in the 80-84 age group. Graham Pearson, of Carlisle Aquatics, was the bronze medallist in the 65-69 age group. His time of 1:28.37 was enough to earn the final podium place. And Stewart Maxwell, of Dundee City Aquatics, also claimed third spot in the 60-64 race, in 1:24.14.